Though Web services offer unique opportunities for the design of new business processes, the assessment of the potential impact of Web services is often reduced to technical aspects. 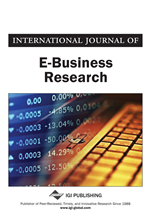 This paper proposes a four-phase methodology which facilitates the evaluation of the potential use of Web services in e-business systems both from a technical and from a strategic viewpoint. It is based on business process models, which are used to frame the adoption of Web services and to assess their impact on existing business processes. The application of this methodology is described using a procurement scenario.